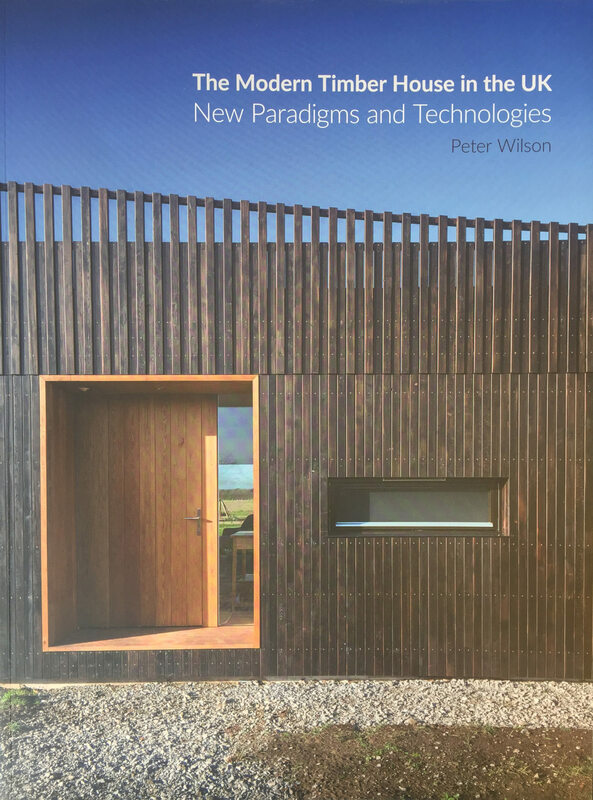 Herringbone houses features in Peter Wilson’s ‘The Modern Timber House in the UK: New Paradigms and Technologies’, published in September 2017. Uniquely sited in a backlands plot, overlooking a Wandsworth bowling green, Herringbone Houses consists of two 400sqm urban woodland houses for developer Lyford Investments. Like a Victorian house turned inside out, the building’s herringbone cladding is a traditional timber floor pattern transferred to facades, creating an optical illusion of accordion-like surfaces. Light filled atriums illuminate suspended stairs at the centre of each house; high-ceilinged open-plan spaces interlock with gardens; full basements decrease the footprint but add space. These houses are a rare example of a developer aiming to match the craftsmanship of neighbouring Victorian villas within a contemporary architectural language. The houses were conceived from the principle of manipulating two continuous planes of timber and graphite render, that extend from exterior to interior, forming walls, floors, external decking and fences. Copies of the book can be purchased for £35 online.